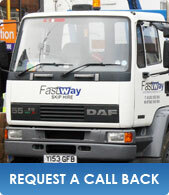 With coverage right across West Sussex skips and waste disposal services are our specialist provision. From the larger towns to the smaller villages, our staff and drivers have unique localised knowledge and experience so can provide you with an efficient, reliable and high quality service every time. Whatever your needs, be they for small domestic projects or huge construction schemes – we can provide a range of skip sizes and specialist bags to help you dispose of your waste. And we do all of this with excellent customer service, helpful advice and good communication – and of course a smile. That is exactly why we are confident that we are the providers of skip hire West Sussex residents and businesses turn to for their skip hire needs. When you contact us to enquire about our services, our helpful and friendly staff will talk you through the different options and services we offer in a full and informative way as well as providing you with a competitive ‘no obligation’ quote that we are positive you will be happy with.